In the two clinical trials with Depo-Provera CI, over 3,900 women, who were treated for up to 7 years, reported the following adverse reactions, which may or may not be related to the use of Depo-Provera CI. The population studied ranges in age from 15 to 51 years, of which 46% were White, 50% Non-White, and 4.9% Unknown race. 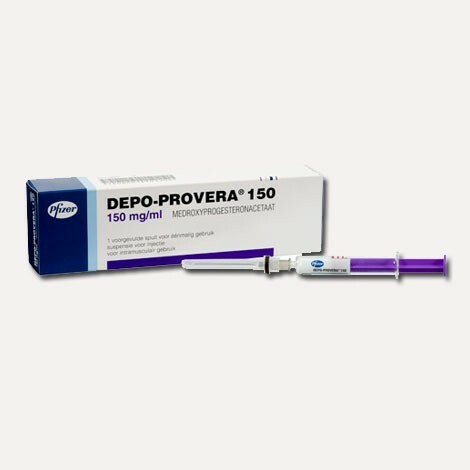 The patients received 150 mg Depo-Provera CI every 3-months (90 days). The median study duration was 13 months with a range of 1-84 months. Fifty eight percent of patients remained in the study after 13 months and 34% after 24 months.